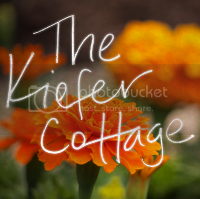 The Kiefer Cottage: Would you like a little lime with that? Would you like a little lime with that? All the work in the house has been slow-going. It's very difficult for me to get a lot done during the day because my three kids are wildly engaging, and at least one of them doesn't nap very well (I'm talking about you, son. Love you. Sleep.). In the evenings, I have exercise class, Ryan has freelance work, and then we both just want to lie around and be still like vegetables some evenings. But there are only so many recipe posts I can do before feeling like a certified doofus. Yes, I'm a blogging loser who keeps forgetting to take "before" shots. This is only quasi-before because the freezer already has a few sprays of primer on it (Will you ever get it right? -Nope. There is no "right" on the webs. So put that in your pipe and smoke it!). We bought the freezer so we could buy a cow. Or at least a part of one. Living in the midwest, and being meat eaters, we realized that buying CAFO beef isn't a great idea when we can get fresh meat straight from the source. But where would we put it? Our current freezer is pathetically small (You mean, it's European, which makes it efficient and chic. Okay, you win). So we had to buy a new-to-us chest freezer off of Craigslist. We bought it from a freshly divorced woman. This past year, we also gave away our fire wood to a newly separated mom of four, and sold our Pier 1 side table to another recently split parent--makes sense for them to use Craigslist since their budgets are tight. I hope we've helped 'em out, but I'm here to tell you that you don't have to be divorced to use Craigslist. Promise. Buying new stuff is so predictable. Wait, where was I? Oh, yeah. An ugly, utilitarian chest freezer stood before me. If we'd left it as-is, it would've felt completely at home with our hideous ceiling tiles. I could not, however, stomach that. It is going in the kitchen, which is getting better looking every week, so it needs to be really cool. Meaning, I needed to paint it. What would go with our soon-to-be peacock blue walls? That's the color on the right. I decided to go bold on top, white on bottom, with white cabinets. We'll be featured in House Beautiful because it'll be that awesome when we finally finish it in Spring of 2023. I know we will! Painted on the driveway. Several drivers slowed down to admire my work. probably give out homemade granola or worse, fruit. I taped off the rubbery parts. A coat of primer first. Then two cans of lime green. With a few gnats thrown in. This weekend, Ryan and I will check the freezer for spots I missed, re-paint if necessary, and then bring it on in to prepare for our cow. More to come in the kitchen. I shared at Domestically Speaking's Power of Paint Party. Cool, I love the colour! pretty wild freezer!! how fun! How bright & cheery! Visiting & following from the linky hop! Came by and followed you on Linky from Create with Joy's blog hop. I would love a follow back when you get the chance. Thanks so much and have a great day! Oh my goodness! I LOVE the lime freezer! I have been wanting to spray paint a few things for my craft room. Lime green might just be perfect! 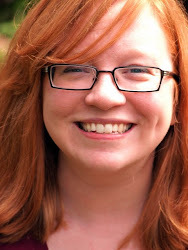 Stopping by via the Linky Followers Blog Hop! Hope you'll come over and visit Shhh...Mom's Busy Crafting! Thank you for your comments. We appreciate sincerity, snark, and general praise. Greetings and Hallucinations -- I'm Starr! What you may find here: Low budget house projects, delicious food, opaque satire, (ill)-informed commentary, bad poetry, gorgeous children, veiled whining, excellent advice, and occasional contempt for conventional wisdom. What you may find in very limited quantities: Crafts and the color beige. I love getting email. I even enjoy the occasional hate-rant, so send whatever is on your mind (questions, comments, concerns) to starr@thekiefercottage.com. Grab Our Bottom! Er... button!